Dr. Maya Guglin of the University of Kentucky’s Gill Heart & Vascular Institute presented data regarding a large multi-center study provides a view into the effectiveness of two drugs used to prevent heart problems resulting from breast cancer treatment at the American College of Cardiology’s 67th Annual Scientific Session.The data showed that ACE inhibitors and beta blockers did not help preserve ejection fraction in patients receiving Herceptin alone.The data revealed that there was a significant reduction in cardiotoxicity for patients on beta blockers or ACE inhibitors who received doxorubicin before Herceptin. The issue was concerning enough to The American Heart Association that they recently released a statement warning doctors and patients to consider carefully the risks when developing a treatment plan for HER2-positive patients. 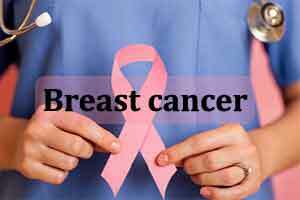 Chemotherapy drug Herceptin was first approved by the FDA in 1998 to treat an aggressive form of breast cancer called HER2-positive. Its stunning success at reducing cancer recurrence and improving survival came at a cost, however: one in four women develop potentially dangerous heart problems. Physicians began suspending Herceptin treatment or reducing the frequency of treatment if a patient’s ejection fraction (a measure of the heart’s ability to pump blood) dropped below 50 percent. The multi-arm, placebo-controlled study chaired by Dr. Guglin explored whether two classes of drugs — ACE inhibitors and beta blockers– preserved a patient’s cardiac function during chemotherapy. The study looked at patients who were treated with Herceptin alone as well as patients who were treated with Herceptin after first receiving another chemotherapy drug known as doxorubicin. The data showed that ACE inhibitors and beta blockers did not help preserve ejection fraction in patients receiving Herceptin alone. However, there was a significant reduction in cardiotoxicity for patients on beta blockers or ACE inhibitors who received doxorubicin before Herceptin: cardiac event rates in the placebo group were 47 percent, compared to ACE inhibitors (37 percent) and beta blockers (31 percent). “The data clearly demonstrated that, for patients with HER2-positive breast cancer taking both doxorubicin and Herceptin, adding either an ACE inhibitor or a beta blocker to the treatment regimen can significantly offset the chance of heart problems,” Guglin said. Funded by the National Cancer Institute, this study is the largest trial on this topic to date, with 167 sites enrolling 468 patients. While many patients with breast cancer fear death from the disease itself, research shows that heart disease is more likely to kill them. Studying how to prevent such negative side effects is an important contributor to optimal patient care. According to Guglin, this study offers some clarity about treatment options, but more questions need to be asked and answered before scientists consider a new standard of care. “For example, should we always treat with both doxorubicin and Herceptin? Should we re-evaluate our minimum standards for heart function? What if the patient’s EF is less than 50 percent but is asymptomatic? And should the patient’s wishes carry more weight in the equation?” Guglin said.